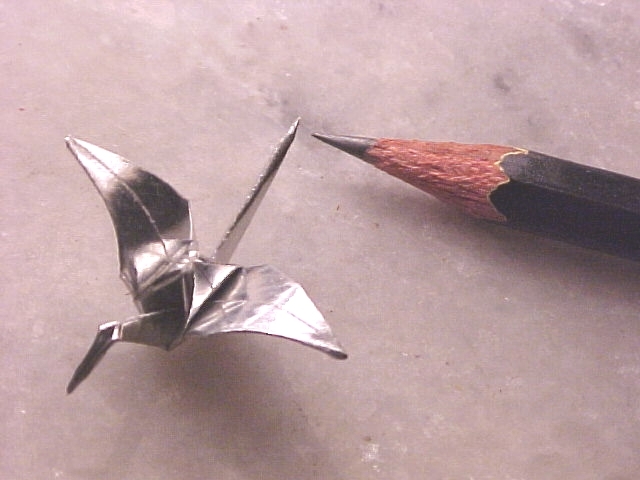 Origami Crane, a traditional Japanese fold that also symbolises Good Luck. Made from 30mm square paper backed silver foil, the final bird measures 25mm at wing tips. Diagrams in "Origami 2" by Robert Harbin.